What is Pretrial Intervention in NJ? Pretrial Intervention (PTI) is a criminal justice program that offers an alternative resolution to criminal charges. Specifically, PTI allows certain criminal defendants an opportunity to enroll in a pretrial program that avoids any criminal conviction or imprisonment. PTI is typically offer for those offenders without a prior criminal record in New Jersey or elsewhere, though exceptions to this exist. 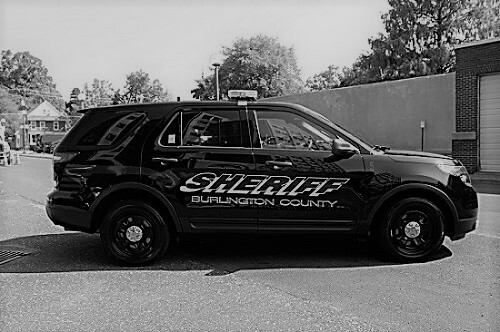 Generally, PTI is granted to defendants facing charges involving non-violent Third or Fourth Degree indictable felony offenses in the Burlington County Superior Court. If you have been charged with a criminal felony offense involving drugs in Burlington County, Pretrial Intervention may be your best option. Assuming you can comply with the terms of the program, you may be able to walk away from these charges without any criminal conviction on your record. To speak with an attorney about your drug charges and the steps necessary to enroll in the program, please call 609-850-8284. Proetta & Oliver is a criminal defense firm that represents clients throughout New Jersey, including towns Mount Holly, Mount Laurel, Evesham, Moorestown, Burlington, Bordentown, Pemberton, Mansfield and Bass River. Call today for your free consultation. If you have been charged with possession of heroin, possession of cocaine, distribution of marijuana, then PTI may be available for you in your case. If accepted into PTI, you will be under program supervision for a period between six (6) months and three (3) years. Additional compliance requirements may include, drug testing, job placement, restitution, community service, drug/alcohol evaluations, and programs like NA or AA. Failure to comply with there requirements will result in termination of your PTI and the immediate reinstatement of your original charges. Conversely, if you successfully complete the program then you will walk away from your criminal case without any conviction or prison sentence. Who is Eligible for PTI in Burlington County? Defendant must be an adult. How Do I Appeal My PTI Denial? If your PTI Application was denied by the Prosecutor’s Office, you are entitled to appeal the decision to the Burlington County Assignment Judge. This appeal must be filed within ten (10) days of your written PTI Application denial. For more information on filing a PTI Appeal, please call 609-850-8284. If you or someone you have been charged with a criminal offense in Burlington County, The attorneys at Proetta & Oliver can help you or your loved one fight any drug possession or drug distribution charges. Depending on your criminal record, you may be subject to mandatory Drug Court, imprisonment, fines, license suspension or some other punitive penalty. Pretrial Intervention may be your best option to avoid these outcomes and remain free of prison. To speak with firm partner and former New Jersey Deputy Attorney General, William C. Fay, IV, please call 609-850-8284. Our firm can be reached day & night for your convenience. We handle every aspect of criminal cases, all the way from a First Appearance / Detention Hearing to a formal jury trial. Call today for your complimentary consultation.